Volunteers and interns play an integral role in the success of Apna Ghar! To learn more about volunteering or interning with Apna Ghar, please browse information and opportunities below. If you are interested in volunteering or interning with Apna Ghar, please first complete the online application. You will be contacted from there based off volunteer and intern needs. Current intern opportunities are posted on our Employment Opportunities page. Apna Ghar offers this training twice a year. Our next training will take place in the Spring of 2019. Exact dates and location to be announced. Note: You will need to attend all of the sessions in order to receive the 40-hour certificate. 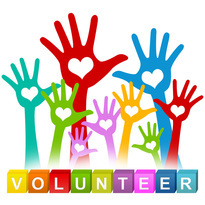 Volunteer opportunities, both for individuals and groups, vary constantly based off the organization's most current needs. "Interning at Apna Ghar was a great experience. I was able to expand my knowledge about the services that are out there for domestic violence survivors. I was also able to identify the housing services that the city lacks for survivors post shelter through my research project. ​Overall, a great and humbling experience working with this population."